The maker revolution is here, and now virtually anyone can pick up a 3D printer or laser cutter and bring their ideas to life. But, how do you get started? This issue of Make: magazine contains the Ultimate Guide to Desktop Fabrication 2018, home to more than 30 reviews that show off the top FDM and resin 3D printers, CNC machines, laser cutters, and more maker gear. What's more, this eBook even comes with guides and lessons for fun projects, like adding graphics to your prints and cutting a laser map of the stars. Maker Media connects Makers with each other through media and events. Maker Media develops projects for the growing community of both hobbyist and professional Makers—the creative, resourceful, and curious—who bring a DIY mindset to technology. Using 3D models, a heated nozzle, and some plastic, 3D printers can make items limited only by your imagination. These devices have been around for a while, but only recently have they become affordable for the everyday user, or "maker." Perfect for those new to the field, this eBook is jam-packed with articles on 3D printing techniques, freely available CAD packages, and comparisons of printers that are on the market, giving you a solid primer on the exciting but understandably complex field of making. Get to making with a trove of 3D printing projects contributed by a roster of experienced pros! 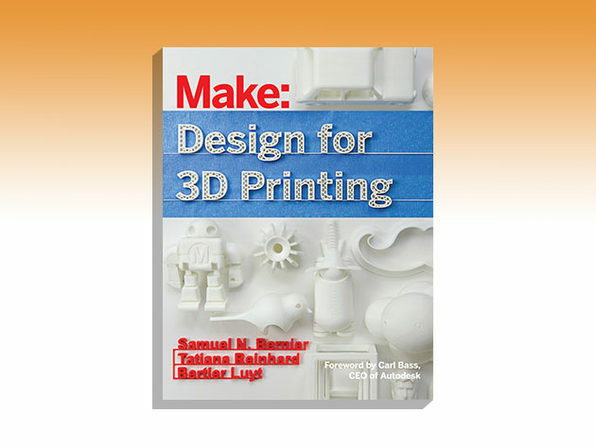 From a 3D-printed LED lamp to a '50s-style raygun pen, this eBook contains a number of fun projects that are designed to hone your maker skills. Some projects you'll build from scratch, while others involve modifying a store-bought item. Either way, you'll be flexing your inventive muscles as you put your machine to use and complete a number of creative projects. 3D printers give us the ability to create virtually anything we can imagine, but they can be tricky to use. 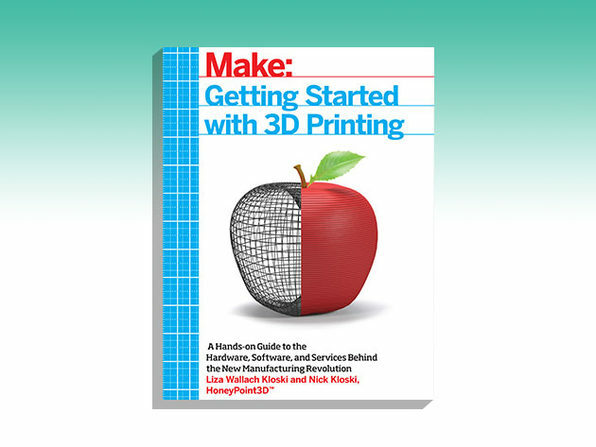 Offering a clear roadmap of best 3D printing practices and techniques, this eBook walks you through how these machines work, what to look for when buying your own machine and supplies, and other essential concepts to get you making your own creations. Liza Wallach Kloski is originally from Guadalajara, Mexico, and founded LizaSonia Designs in 2003, a unique upscale jewelry brand and retail store in the Montclair District of Oakland, which wholesaled designs to 17 Nordstrom stores, in addition to 80 other retail stores. A graduate of UC Berkeley, Liza has won numerous design and business awards and was the main educational expert in Entrepreneur magazine's paperback book "Start Your Own Fashion Accessories Business (StartUp Series)." LizaSonia Designs was a successful jewelry company for more than a decade before Liza's passion turned to 3D printing jewelry. Nick Kloski earned the respect of his colleagues through hard work, dedication and vision throughout his 15+ years in the high-tech industry. Graduating from UC Santa Barbara with an English Major, he was hired into Sun Microsystems during the dotcom boom, and has held a number of technical writing roles at Sun, and more recently, at Oracle translating complex technical architectures into understandable ideas. Nick's skills go deep into both the technical understanding and the mechanics of 3D printing, and how this industry has the capability to inspire the world. You don't need a formal education in design to get the best results from your 3D printer. This eBook uses a series of tutorials and case studies to help you turn your product idea into a 3D model and prototype. Perfect for any beginner, this resource will walk you through free design software and affordable technologies to get you up to speed and start building your own creations faster. Samuel Nelson Bernier is a Canadian industrial designer and le FabShop's creative director since January 2013. He is a graduate of the University of Montreal where he excelled with his exceptional educational journey: Winner of the Lieutenant Governor's Medal, 2010 personality of the year and winner of the the Be Open Award in London. In 2012, he was invited by the Autodesk group to be an artist in residence in San Francisco. He wrote the memoir Project RE_, DIY in Digital Age, which followed his journey through the world of Makers and FabLabs. It was this same year that he met Bertier Luyt, a French entrepreneur who invited him to join his business project, le FabShop. Samuel N. Bernier is also a teacher at the Domus Academy in Milan for a workshop that he is giving on the theme of "Makers." In August 2013, the British magazine ICON chose the young designer for its "Future 50" list of the best-known emerging creators. Bertier Luyt is a professional maker-entrepreneur, self-educated father of two kids. After a career in music, in the early 2000s he turned his career toward design and designing professional spaces, an activity for which he started using SketchUp. Bertier Luyt's expertise was recognized in 2010 when he gave a conference at Google Sketchup 3D Basecamp about "3D modeling for digital manufacturing" at a time when the first 3D printers aimed at the general public made their appearance in the United States. After attending his first Maker Faire in New York in 2011, he launched leFabShop, a 3D modeling and digital fabrication studio, in early 2012 in France. Early works include 3D modelling the Palace of Versailles for the Google Cultural Institute. Bertier has written other books on 3D printing and 3D modelling; he's also been a speaker at different conferences such as MakerCon, TEDx, Hello Tomorrow, and Trimble Dimension. His favorite topics are digital manufacturing, self-empowerment and entrepreneurship. In 2013, he organized France's first Mini Maker Faire in Saint-Malo and created SWF: the first Eco-friendly sea weed 3D printing filament. He is the producer for Maker Faire in France. An illustrator and computer graphics designer first, following a successful career in multimedia visual communication at the Olivier de Serres school, Tatiana Reinhard, moved by her passion for the image, began a masters degree in Arts and Technology of the Image and became a 3D generalist for video and real time. A compulsive dabbler, passionate geek, and curious about new technologies, she works on the ongoing industrial revolution through the emergence of FabLabs and 3D printing. After teaching CAM at the University of Paris-8, she applied to le FabShop, wanting to test her knowledge as a virtual technician in a digital manufacturing studio. Today, Tatiana is a designer and creative at le FabShop. She also provides professional training to businesses going into 3D printing. The Maker's Manual is your wall-to-wall guide to 3D printing and creating a sustainable business with this technology. 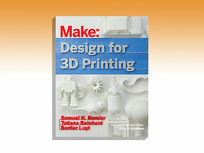 Containing hundreds of color images, essential creation techniques, and insight on core skills like electronics prototyping, 3D printing, and programming, this comprehensive PDF will give you the inspiration and technical know-how to transform your ideas into real, physical projects. Written by the founders of Frankenstein Garage, which has organized courses since 2011 to help makers to realize their creations, The Maker's Manual answers your questions about the Maker Movement that is revolutionizing the way we design and produce things. Maker tech, like 3D printers and laser cutters, is revolutionizing the way we create everything. Part-memoir, part beginner-friendly guidebook, Zero To Maker chronicles the journey of an aspiring maker as he goes from being an unskilled newbie in this field to a successful entrepreneur. Drawing from his experiences, you'll discover the steps you can take to keep pace with this technology and prepare for the careers of the future. David Lang is the co-founder of OpenROV, a DIY community centered around open source ocean exploration. He is also the writer of the popular "Zero to Maker" column on Makezine.com, a public diary of his headfirst dive into the maker world. As a pioneer in the new hardware startup scene, he organized and facilitated the first-ever Maker Startup Weekend, a weekend-long event that used the rapid prototyping tool chain to prove the immense possibility of the next Industrial Revolution. First published in 2013, this new edition features full-color photos and shares David's latest insights and experiences as he continues to grow as a maker entrepreneur and citizen scientist. Featuring the best projects published in Make: magazine over the last six years, this collection is a wellspring of creative inspiration and technical insight for your own DIY technology projects. Jump in, and you'll grow your understanding of personal fabrication technologies like 3D printing and CNC milling; the mechanics of robots and drones; wearable tech, and so much more. Capable of making extremely precise cuts in materials like wood, steel, and plastic, the Computer Numerical Control (CNC) Router has become a staple in the DIY fabrication scene. From toys to signs, carvings, and furniture, this machine can produce a myriad of fun projects—provided you know how to use it. This eBook removes the learning curve and walks you through the CNC essentials, offering a basic overview of affordable, hobbyist-level computer-controlled routers and projects for you to use them on. Edward Ford is a Maker. He was the kid that took his parents' TV apart to see how it worked, along with the toaster, fridge, and any other thing that he could wedge a screwdriver in to. He is a staunch advocate for open hardware, open source software, and making the world a better place by empowering people to create their own high-quality products. Edward wants everyone to be their own manufacturer. In 2011 Edward designed and released Project Shapeoko, an open hardware desktop CNC machine. The project is now in its second release and has found a home in thousands of Makers' shops all across the world. Outside of work, you can find Edward spending time (aka playing!) with his two young daughters or checking items off the never ending honey-do list his wife has assigned him. Made for those new to carving, this eBook presents a beginner-friendly look at Inventables' carving software Easel and 3D carving machines X-Carve and Carvey. You'll get hands-on training as you follow along five step-by-step projects, including an inspiration tile, kitchen cutting board, custom block stamp, fidget spinner, and balsa wood glider. Then, you'll take a look at more complex carving projects, like an electric guitar and a box joint toolbox, giving you something more challenging to develop your skills. Zach Kaplan is the founder and CEO of Inventables, the leader in 3D carving. A maker his whole life, he is on a mission to ignite digital manufacturing worldwide and provide everyone with ambition a way to get started. Inventables' flagship products Easel, Carvey, and X-Carve are used by a new wave of makers carving everything from circuit boards to skate boards. Named a "modern Leonardo" by the Museum of Science and Industry and a 40 under 40 by Crain's Chicago Business, his dream is create a world with 2 million digital manufacturers that have raving fans, not just customers. Kaplan has been featured on National Public Radio and has presented at the TED Conference. CNC machines make it extremely easy to create everything from toys and games to even furniture, however, you'll need a solid grip on how they work before you can start carving your own creations. This eBook exposes you to the insight and skills you'll need to design, fabricate, and assemble a wide range of CNC routing projects. In addition to understanding the software and machines, you'll get hands-on training with instruction on creating your own furniture, including a stool, coffee table, chair and more. Gary Rohrbacher is an architect, professor, and partner in Filson and Rohrbacher, an architecture, design and research practice. He co-founded AtFAB in 2010 to produce designs for digital tools and networked manufacturing. Since then, nearly 10,000 AtFAB furniture pieces have been downloaded worldwide. AtFAB has been featured in The Economist, The Atlantic and Make:, and can be found in the permanent collection at Centre National Des Arts Plastiques in Paris. Anne Filson is an architect and professor. Prior to co-founding Filson and Rohrbacher and AtFAB, she practiced architecture at renowned international firms and worked as a design strategist for IDEO. When she's not designing and making digitally fabricated furniture and objects, or envisioning future environments, she teaches architecture, design thinking and entrepreneurship. Anna Kaziunas France is the former Digital Fabrication Editor of Maker Media and the Dean of Students for the Fab Academy program. Formerly she taught the "How to Make (Almost) Anything" rapid prototyping course in digital fabrication at the Providence Fab Academy (at AS220). She is also the co-author of Getting Started with MakerBot and she compiled the Make: 3D Printing book. She loves Providence, Rhode Island, and is in the process of scanning and printing it. Free to students and small businesses, Autodesk Fusion 360 is a modeling tool that allows you to design, analyze, and print your fabrication ideas. This eBook takes you through the Fusion 360 fundamentals, providing you with beginner-friendly tutorials and DIY projects that will get you creating models for 3D printing and CNC fabrication.